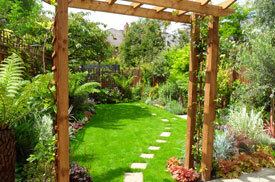 Garden Design Construction and Landscaper. 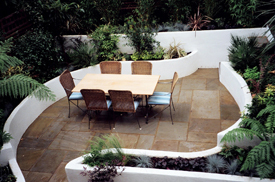 Garden Design Construction and Landscapers. 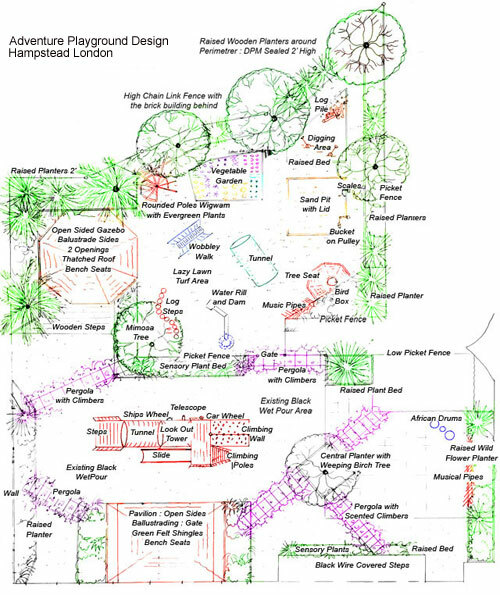 Based in Hampstead in North West London and managed by Robert Sergent-Fairley, Belsize Landscapes is in constant demand for their Stunning Garden Designs, their Timeless Tree House Designs, their Awesome Activity Play Area Designs, their Magical Wendy House Designs, their Superb Timber Garden Decking Designs and their Beautiful Patio Designs. 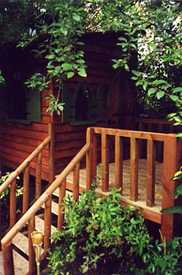 Such is the demand for their award winning Garden Design and Landscaping Services that Belsize Landscapes now construct their Amazing Tree Houses, Magical Play Houses and Wild Activity Areas throughout Oxfordshire, Middlesex, Surrey, Berkshire, Buckinghamshire, Bedfordshire, Hertfordshire, Warwickshire, Gloucestershire, Wiltshire, Hampshire Surrey, and West Sussex. 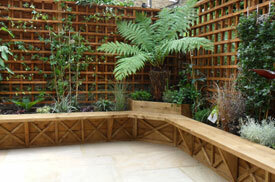 Planting is a major part of all London Garden Design projects. 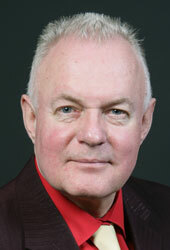 Robert Sergent-Fairley’s main passion is for plants and his plant knowledge is encyclopaedic. 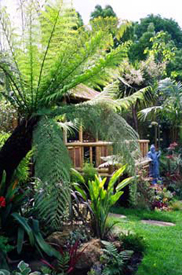 He has an unlimited imagination for London Planting Designs and whilst he has a very natural and free flowing style of Plant Design and Garden Planting, he is equally at home with Traditional English Gardens as he is with Lush Exotic Tropical Gardens. His main criteria in Garden Design is that each garden should be an All Year Interest Garden and a Minimum Maintenance Garden. Robert is passionately keen on the Protection of Our Environment and the Continued Creation of Natural Wildlife Habitats. Over 95% of the United Kingdom’s Flowering Meadows have disappeared since 1950. Robert aims to redress this situation at every opportunity. To this end, he introduces Wildflower areas into all his Garden Designs and particularly, into all his School Playground Designs. Belsize Landscapes are also renowned for their exciting Play Platforms, their Wild Activity Play Areas, their Charming Play Houses and their Award Winning Garden Designs of Front Gardens, Driveways, Roof Garden Terraces, Basement Gardens, Pet houses and Animal Play Areas. Robert Sergent-Fairley is proud of his extremely popular and highly respected, cheerful in house team of Master Craftsmen. 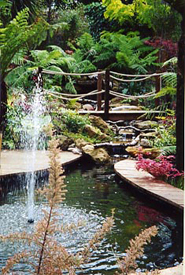 This dedicated group of Highly Gifted Professional Landscape Craftsmen handle all Robert’s Garden Designs as well as Garden Projects including Raised Plant Beds, Retaining walls, Brickwork, Fencing, Trellis, Arches, Pergolas, Walkways, Pathways and beautiful Turfing over small or large Lawn Areas. Happy and satisfied customers are a necessary recommendation for all businesses. 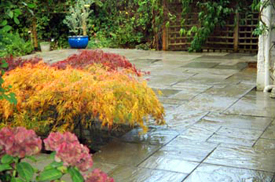 Robert’s many clients, including those of high profile and celebrity status, all share a mutual admiration and enthusiasm over their praises for Robert and for his team at Belsize Landscapes. On a precautionary note, Belsize Landscapes are aware that accidents may occur during a project. In this connection they hold an Indemnity Bond for £5 million with Bishopsgate Insurance (renewable annually); Robert Sergent-Fairley is please to confirm that to date no accidents have occurred and thus no claims have been entered. He makes no charges for his visits and his consultations and within 48 hours supplies his clients with a beautiful hand drawn, totally free of charge, Garden Design. Robert estimates that for him to visit a client, to listen, to do the Garden Design and for his team to complete the garden design project that it takes roughly 3 weeks from his first visit to the final completion of the whole Garden Project. England, at present, is experiencing a Highly Unstable Economic Period with one Financial Crisis following another. Many Companies, Institutions and Private Persons, have been over greedy and have attempted to obtain extra profits over the norm, by purchasing goods, by making investments or by entering contracts with companies or persons who have offered extremely advantageous prices or rates. When those companies or private individuals eventually collapse (as since time immemorial they always do) the unfortunate persons who have entered financial transactions with them, generally lose everything. THE WISE PERSON NEVER TAKES CHANCES. It is now more important than ever before for householders to only enter into contracts with professional persons or with long established reputable local companies. Their prices are always fair and reasonable for whatever the project which will always be completed promptly, efficiently and in a totally professional manner. If there is any future fault or defect, an established local company is always there to handle such queries.